I can do it. I can also show you the way to Abundant Joy, True Lasting Eternal Love and a healthy mind and body. In the beginning Yahweh outlined a time of training with set days or Appointments. All who attend these Appointments, He shows, could qualify to also receive Eternal Life and Authority as a member of the Yahweh Family. They would work with the Creator Yahweh in bringing Peace, Joy and Love to the many kingdoms of the universe. Why The Set Feasts Three Times Each Year? Yahweh’s Plan is to build a Family to whom He can give Authority, knowing assuredly they will rule as Yahweh rules, according to Yahweh’s Laws of Righteousness. Those who agree and choose to follow Righteousness, one hundred percent perfect Righteousness and overcome sin, will inherit the Kingdom of Yahweh. Can two walk together unless they are in agreement? The Perfect Laws of Righteousness were designed to benefit both parties, both countries, both individuals, so they can be agreed upon. It’s only when one desires to take advantage, yielding to illegal lust, that separation of people and nations occur. In showing this obvious separation and its history of wars between catholics and other religions today, and the obvious plans to take advantage of religions, wealth and countries, that the President of the United States called for an end to catholic education, according to one news report. Notice the following excerpt containing President Barack Obama’s statement about the conflicts between the catholics and christians. Let me expound on this to make clear the hatred we see in today’s world. A person who steals is not liked by those whose possessions he takes. History shows that wars took place because a sister, daughter or wife was seduced. A large city that takes land from its citizens creates enemies. A nation that lusts after and schemes to take resources from weaker nations can only do so until another power arises to defeat it. The Savior Yahshua Messiah, named by Yahweh’s Prophets before He was born, prophesied the hatred of the nations of this nuclear generation. He told the fathers of today’s popes to repent or they would perish. The leading fathers hated the Message. They feared others would take it seriously and remove their support. So, using their majority power, they killed Yahshua and His Disciples. Then they removed His Name from the records. The lust, hatred and wars continued throughout the entire world. One group after another became strong, until another became stronger and took over. The strongest always took what they lusted after at the time. Even the subjects of their kingdoms schemed and took by theft and force, which lent to the diminishing of the kingdom’s strength. In this present generation, there are several strong kingdoms that, for a few years, have wealthy friendships between leaders of the nations. They gain wealth from the nations’ leaders, at the expense of the majority of the citizens, whose share of the wealth was stolen, but whose leaders were banishing up to ninety percent for their own selfish gain. The religious leaders who schemed the stealing in trades took major portions of wealth from both sides, hoping not to be exposed. The above acts of unrighteousness have brought about a bombshell that is about to explode. Catholic education, and that of all religions that lead the world, support the trade. Stopping catholic education would help some in diminishing the build up of hatred, but all other education, secular and religious education, is equally at fault. Prophecy shows that hatred is building and it will soon come to a nuclear end. The hatred is shown as a preventable disease that grows from the wrong kind of education. This education first brings sickness and disease which cause confusion of the mind and acts of violence between neighbors. The world has become as were the days of Noah, Yahshua Messiah said, but this time nuclear smart, with hatred and deception. This is no guide to peace and safety. The end result will soon be destruction by fire. 12 You must look for and earnestly long for the Day of Yahweh, because of which the heav­ens will be dissolved in fire, and the elements will melt with fervent heat. 13 Nevertheless we, according to His Prom­ise, look for new heavens and a new earth, in which Righteousness dwells. 37 But just as the days of Noah were, so will also be the coming of the Son of Man. Noah had no bombs, but the same immorality was present in his day as in this present generation. 11 The earth also was corrupt before Yahweh, and the earth was lawless, filled with violence. Verse 9, the catholic education still leads the world in aggression, which is leading to self-defense, hatred, war, and soon nuclear disaster. Verse 15, Like it or not, all nations are being pushed into the education of lust and force. The majority of the earth’s population do not desire catholic education. History shows that force and fear were the way that the catholic roman empire got its converts from the peoples, multitudes, nations, and languages.Now the opposition has grown strong, nuclear strong. But the popes have became no wiser, they still insist on rule by force instead of Righteousness. 4 And they worshiped the dragon which gave power to the beast; and they worshiped the beast, saying: Who islike the beast? Who is able to make war with him? 3 For all nations have drunk of the wine of the wrath of her fornication, and the kings of the earth havecommitted fornication with her, and the merchants of the earth have grown rich through the abundance of her delicacies. Plagues are what the whole world are suffering today, from which there are no cures. The plagues are multiplying. They are getting resistant to every drug man has. Everyone in the world today has a plague lurking in one or more organs of their body. Will it strike the brain? Will it strike the brain of your son? How will he react? Will he react with a gun, knife, a bomb? This is today’s plagued world. Destruction is lurking everywhere in this evil and adulterous generation. There is a Protected Place. 1 But in the Last Days it will come to pass that the mountain; promotion,of The House of Yahweh will be established in the chief of the nations. It will be raised above all congregations; and all peoples will eventuallyflow to it. Where is this House? What is it doing in this nuclear generation? 14 And this joyous Message of the Kingdom of Yahweh shall be preached in all the world from The House of Yahweh at Abel by the Witness Yisrayl; for Yahweh will be with him. He will preach this Messageto all nations; and then The End will come. Can you see these things? Remember what is causing the hatred, sickness, disease, confusion, fighting and wars? This Message is being preached right now. It all starts with keeping your Appointments with Yahweh. Did you notice its only given into his hand until the last generation when the 3½ years of nuclear wars come upon all the earth. In the last generation, Yahweh established His House and it brings forth Yahweh’s Laws of Righteousness and Peace. For the protection of His House, Plan and Work, He will cut short that last 3½ years. And unless those days were shortened, there would no flesh be saved; but for the Elect’s sake, those days will be shortened. Yes, the whole world has been deceived, but now the Truth is going out again from the place Yahweh chose to place His Name, exposing the education of hatred, violence, retaliation, vengeance, war and destruction. And many people will go and say; Come, and let us go up to the mountain; uplifting, of Yahweh, and to the House of the Father of Yaaqob, and He will teach us of His Ways, and we will walk in His Paths. Because the Laws will depart from Zion, and the Word of Yahweh from Yerusalem. He will teach us His Ways. Yes! Remember, there was no bible, no words of Righteousness taught for over 1900 years. But now the words of the Prophets are once again going out to all nations, and the Words of the Savior, exposing their sins. Sin is the breaking of Yahweh’s Laws. Repent and sin no more. Yahweh has established His Last Days’ House. His Eyes and His Heart will be here with those who keep their Appointments with Him, and you will know it’s Yahweh Who sanctifies you. That is, He sets you apart for an eternal job in this very soon coming Kingdom of Yahweh in which Righteousness dwells. Call, write or email us for reservations. I look forward to hearing from you. 13 Speak also to the children of Israyl, saying; Surely My Sabbaths you shall keep, for they are a sign between Me and you throughout your generations, that you may know that I am Yahweh Who sanctifies you, and makes you holy. 14 You shall keep the Sabbath, therefore, for it is Holy to you. Everyone who profanes it shall surely be put to death; for whoever does any of his own work on that day, that person shall be cut off from among his people. 15 For six days work shall be done, but the Seventh Day is the Sabbath of Rest, Holy to Yahweh. Whoever does any of his own work on the Sabbath day, he shall surely be put to death. 16 Therefore the children of Israyl shall keep the Sabbath, to observe the Sabbath throughout their generationsas a perpetual Covenant. 17 It is a sign between Me and the children of Israyl forever, for in six days Yahweh made the heavens and the earth, and on the Seventh Day He rested and was refreshed. The first thing I want you to be absolutely aware of is that keeping Yahweh’s Sabbaths (plural) is a sign between You and Yahweh. Keeping Yahweh’s Sabbaths is the Mark of Yahweh, the sign that you belong to Him. The second thing I want you to be aware of is that when you keep all of Yahweh’s Sabbaths, which includes Yahweh’s Feast Day Sabbaths, then you have the understanding to know the Will of Yahweh. Not only are we to keep Yahweh’s Seventh Day Sabbath, we are also to keep His Feast Day Sabbaths. Satan has a very special reason for hating the Feasts of Yahweh so very much: Yahweh’s Holy Days during His Ordained Feasts are called Sabbath Days, and if you observe Yahweh’s Sabbaths, then that is a sign that you belong to Yahweh, and not to Satan. Satan’s influence has caused this whole deceived world to reject Yahweh’s Sabbaths in order to observe the pagan celebrations of this world, therefore this whole deceived world belongs to Satan. The word translated sign in Exodus 31:13, Exodus 13:9, Yechetzqyah 20:12 and in Yechetzqyah 20:20, is the Hebrew word owth, word #226 in Strong’s Hebrew Dictionary and means evidence, mark, sign, token. When one obeys Yahweh’s Laws, and observes His Ordinances which govern His Feasts, doing every Word that proceeds from Yahweh’s Mouth, this person is marked by Yahweh as belonging to Him. Yahweh’s Mark is in this person’s forehead because this person’s mind is upon Yahweh and His every Word. Yahweh’s Mark is also in this person’s hands because this person’s hands cease from doing his own work on Yahweh’s Sabbaths. Yahweh’s Mark is the sign upon one’s hands and a remembrance between one’s eyes. In the same context, when a person obeys Satan, by rebelling against Yahweh in any way, that person is also marked as belonging to Satan. We are told plainly that we are servants to whom we obey. Do you not know that to whom you yield yourselves as servants to obey, his servants you are whom you obey whether of sin, which leads to death, or of obedience, which leads to Righteousness? When a person obeys Satan, that person is also marked in the hand and in the forehead__those who obey Satan definitely do not have Yahweh and His Laws on their minds, nor do they stop doing their own work on Yahweh’s Sabbaths. Yahweh did not leave us guessing about the Appointed Time which He sets, when He will meet with His People in Holy Convocation. These Ordinances are made available to us, in the Books of the Laws, the first five Books of the Holy Scriptures. The Feasts of Yahweh are His Appointed Times, His Holy Convocations. The Hebrew word translated convocation is word #4744, miqra in Strong’s Hebrew Dictionary, and means something called out, a public meeting. Miqra comes from the Hebrew word qara, word #7121 and means to call out, address by name, those that are bidden, call forth, invite, mention, preach, proclaim, publish, read. Through a study of these Hebrew words, we can see that a holy convocation is when Yahweh calls out His People and then meets with them. Leviticus 23:2—…these are My Feasts. Six days shall work be done, but the Seventh Day is a Sabbath of rest, a Holy Convocation. You shall do none of your own work on it. It is the Sabbath of Yahweh in all your dwellings. Most assuredly, the Seventh Day Sabbath is Yahweh’s Sabbath Day. To keep this Feast Day on any other day would make it man’s feast, and not a Feast of Yahweh. 8 But you shall offer an offering made by fire to Yahweh for seven days. The seventh day shall be a Holy Convocation; you shall do none of your own work on it. And you shall proclaim on that same day that it may be a Holy Convocation to you Shabuot; the Feast of Weeks, the Feast of Firstfruits You shall do none of your own work on it. It shall be a statute forever in all your dwellings throughout your generations. 24 Speak to the children of Israyl, saying; In the Seventh Moon, on the First of the Moon, you shall have a Sabbath, a Memorial of Blowing of Trumpets; the Feast of Trumpets, a Holy Convocation. 25 You shall do none of your own work on it; but you shall offer an offering made by fire to Yahweh. Also the Tenth of this Seventh Moon is the Day of Atonement. It shall be a Holy Convocation for you. You shall afflict your souls, and offer an offering made by fire to Yahweh. 34 Speak to the children of Israyl, saying; the Fifteenth day of this Seventh Moon is the Feast of Tabernacles for seven days unto Yahweh. 35 On the first day there shall be a Holy Convocation; you shall do none of your own work upon it. But for seven days you shall offer an offering made by fire to Yahweh. On the eighth day you shall have a Holy Convocation the Last Great Day, and you shall offer an offering made by fire to Yahweh. It is the Closing Gathering of Yahweh’s Sacred Year, and you shall do none of your own work upon it. If you will count for yourself, you will find that Yahweh has seven Holy Convocations, seven Sabbaths, besides His weekly Seventh Day Sabbath. This world’s governments are going to pass away, along with all the illegal lusts that are rampant in this world. But, those who keep Yahweh’s Laws will abide forever; they will abide under the Shadow of Yahweh. Those who will practice what Yahweh says will be protected from the wars, from the sickness and disease, and from the death that will soon come on this earth. Yahweh’s Feasts are Yahweh’s Shadow from the things that are coming. It is vitally important that you keep Yahweh’s Feasts exactly according to Yahweh’s Ordinances. Not only does keeping Yahweh’s Feasts assure you of His Protection from the horrors that will soon strike all mankind, they also assure that you will receive Eternal Life, if you practice obeying every Word that proceeds from Yahweh’s Mouth. Now is the time to make plans to attend each and every Feast that Yahweh commands. After reading this newsletterin its entirety, you will then know the vital importance of keeping Yahweh’s Feasts. If you keep Yahweh’s Feasts they are Yahweh’s Shadow over you from the things that are coming; but, if you do not keep Yahweh’s Feasts, exactly according to His Written Ordinances, then you are keeping your own feast, which Yahweh will not accept. Why would Yahweh refuse to accept, a feast supposedly celebrated in honor of Him? Why would such a feast, in fact, shut people off from Him, making Him hide His Eyes from them and not even hear their prayers? They are not Yahweh’s Feasts unless they are kept as instructed in His Laws. By being willing and obedient to seek Yahweh’s House and do as the Priests instruct, we know we are keeping the Feast in the way that pleases Yahweh. This means we must keep the Feasts at the place where Yahweh has chosen to place His Name. The way we can know where Yahweh has chosen to place His Name is through Yahweh’s Prophecies, in which He gives us instruction. We know that Yahshua was the Messiah, the Savior, because He fulfilled the Prophecies written about Him. In the same way we can know where Yahweh’s established House is today. Yahweh told us in Prophecy where His House would be established in these Last Days. He gives us the location of The House of Yahweh, the time period in which His House would be established, and He even gives us the names of the Two Witnesses who established His House. 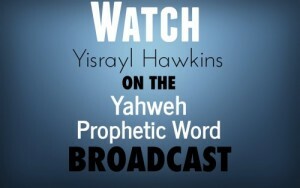 Write for information about the Two Witnesses and the establishment of The House of Yahweh. This information is vital to your understanding of where Yahweh’s Only Prophesied Work is located in these Last Days. Remember, Yahweh says, in I Yahchanan 4:1, that many false prophets have gone out into the world. In fact, inRevelation 12:9, Yahweh says that Satan, through her servants, her preachers, has deceived the whole world. Yahweh’s Ordinances concerning His Feast Days are just as much a part of His Laws as His Ordinances concerning His weekly Sabbath Day. If any “feast” is not observed strictly according to His Ordinances, Yahweh will have no part of that sin. Yahweh simply will not be there, and those who are there are deceived. There are many scattered throughout the world who are unable to come to Yahweh’s House at this time. Yahweh knows some things are beyond our control, despite the truest efforts, determination and desires of our heart and we trust in His Great Plan for each one of us. Remember, you are still keeping Yahweh’s Feasts and “coming” to His House through learning from The House of Yahweh at Abel only. And with many other words he testified and exhorted, saying: Save yourselves from this perverse generation! Unlike the worldly holidays celebrated by this deceived world today, which have no reason to exist since they are the worship of pagan Gods inspired by Satan the Devil, the keeping of Yahweh’s Feasts promises you a Great Reward, if you will keep them according to Yahweh’s way. The remnant of Yahweh’s chosen are being gathered out of this beastly system and are given the opportunity to train for wonderful positions in the Kingdom of Yahweh. The House of Yahweh, the Family of Yahweh, keeps all of Yahweh’s Feasts, exactly according to His every Word. Yahweh’s Feasts are the Shadow of Yahweh, the Mark of Yahweh upon those who will practice them according to Yahweh’s Ordinances.